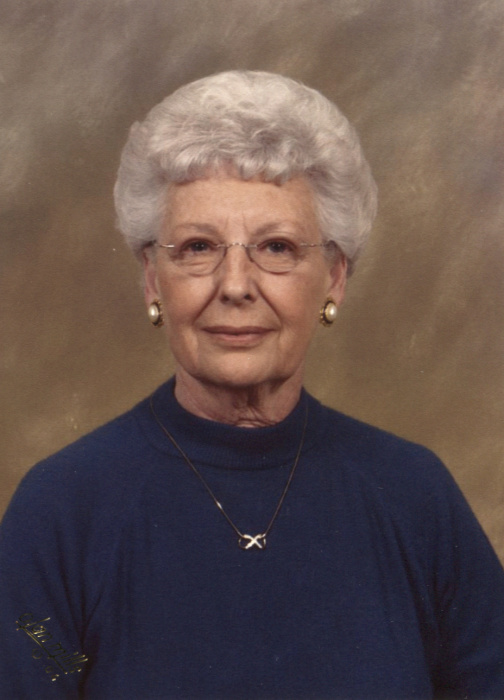 Inez Hollifield Spratt died peacefully in her home on Wednesday, January 23, 2019. She was predeceased by her parents, Mary Ezell Hollifield Barnette and Edwin Tenny Hollifield, and her son, Michael Liston Spratt. Inez is survived by her husband of 70 years, Raleigh Malcom Spratt of the home, her daughter, Karen Spratt Tisdale and son -in-law Thomas "Tommy" Tisdale of Ellenboro, and daughter -in-law, Diana Cole Spratt of Forest City; grandchildren, Jon Spratt, Andrew Tisdale and wife Sarah, James Spratt and wife Karen, Becky Tisdale, and Betsy Spratt Guyer and husband Dustin; and ten great-grandchildren whom she adored. Inez and Raleigh joined Corinth Baptist Church in 1954 where Inez served as pianist for many years. She acted as church clerk, taught Sunday School in the preschool and nursery, and sang in the church choir. She was a vocal member of various church committees throughout the years. She retired from Sears in 1989 after a successful career as credit manager and outdoor installation and appliance salesperson. After her retirement, Inez remained active by pursuing her passions and serving her community. As a Red Cross volunteer, Inez trained other volunteers and traveled to almost every disaster relief effort in the US and Puerto Rico during her time as a volunteer. As a result of her service to the Red Cross, Inez was a national finalist for the Lifesavers Role Model Award and attended the award ceremony at the National Press Club in Washington, DC. Inez was an active Guardian Ad Litem, serving for years as an advocate for the children of Rutherford County. Subsequently, she was appointed to serve on the Child Fatality Review Board of Rutherford County. Inez was also appointed to the Board of Directors of the Department of Social Services of Rutherford County and served a term as chairperson. Among Inez's many interest was her love of animals, especially dogs. Her canine companions included Rocky, whom she trained as a therapy dog and took to visit patients in the hospital and in Hospice care. She leaves behind her beloved friend Dudley. Her hobbies included reading and gardening. She was a regular patron of the Rutherford County Library and routinely read several books at a time. In springtime she was happiest outdoors planting and cultivating the flowers that accented her yard. The daughter of a poor share-cropper, Inez was an only child raised by a single mother. With Raleigh, she created a family that she cherished. From Sunday dinners to birthdays to holidays, she was happiest surrounded by her grandchildren and great-grandchildren. She cared for them all and was proud of every accomplishment and accolade. She taught by her example a high standard of compassion and service, honesty and loyalty, love and acceptance. The family thanks Nisha McCraw for her compassionate care, as well as Hospice of The Carolina Foothills for their assistance and comfort at the end of Inez's life. Memorials are suggested to Corinth Baptist Church, 767 Pinehurst Road, Ellenboro, NC 28040 or Hospice of the Carolina Foothills, Post Office Box 336, Forest City, NC 28043; or any charity of the donor's choice. The funeral service will be held at 2 o'clock Saturday at Corinth Baptist Church with Reverend Mike Conner and Reverend Ad Hopper officiating. Interment will follow in the church cemetery. Visitation will be from 6 until 8 pm Friday evening at The Padgett and King Mortuary.